English word «Service» means «attendance», «maintenance», «work». Miniseries of articles «Service» is appealed to explain a client the procedure in case of warranty event, to advise the steps of aftersales service and repair. The main goal of start-up and adjustment works is to activate a system and to guarantee flawless operation during long period of time. All the centers and connections are inspected for the operation capability. Step 1: Start-up of the system with the full power (usage mode), adjustment according to required pressure and consumption. Step 2: Detection of installation defects and contradictions with the project. Inspection of functional ready state of mounted equipment. Step 3: If required – mounting faults repair and additional inspection. Start-up and adjustment works should be made not only during the first start-up of the system but also after equipment repair. 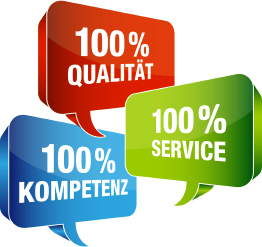 Group of Companies «Terrikom» guarantees the quality and on-time start-up and adjustment works which are realized using modern tools and devises.